Kids birthday parties are ridiculously expensive. I learned early on that the more you spend on them, the sooner they are likely to be forgotten. 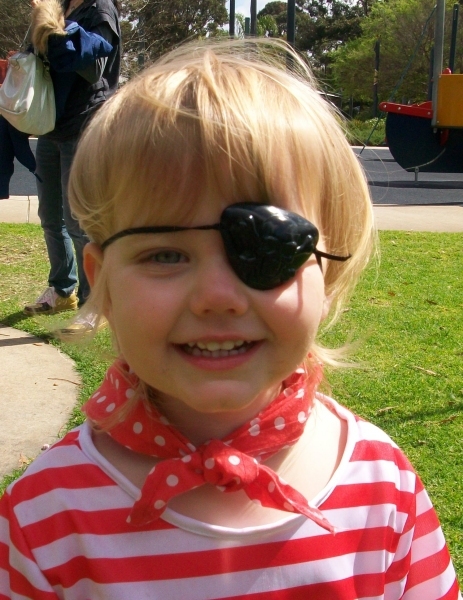 Do yourself a favour and follow this simple guide on how to plan the perfect, low cost, pirate party for your little Jack or Jill Sparrow. The perfect party needs the perfect venue. Thankfully Perth is oozing with possibilities. 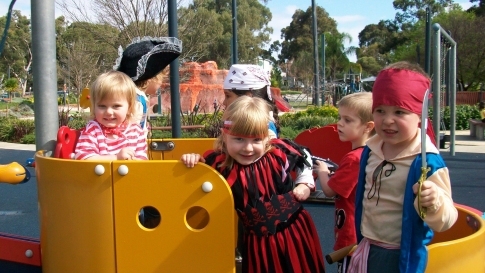 Playgrounds with pirate ships and nautical themed play areas are more plentiful than rum in the Caribbean. 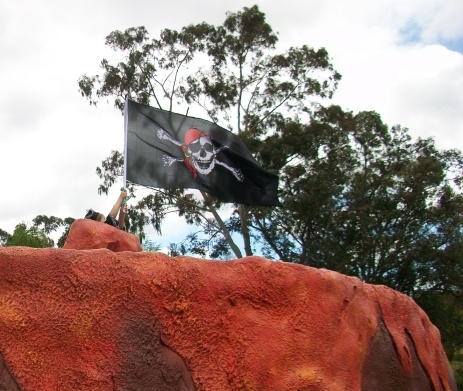 My favourite venues would have to be the fantastic beachside location of Heathcote Reserve in Applecross with its huge ship and Faulkner Park in Belmont complete with Volcano. These parks are large and have good facilities but there are smaller versions at Mullaloo, Rockingham Foreshore and Aveley. To keep down the stress and the costs, why not share the load? It's perfectly acceptable to ask people to bring a plate to share. 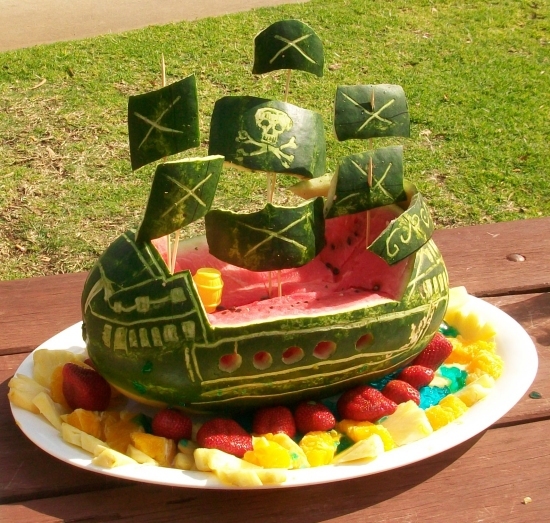 You can divide your requests into sweet and savoury and offer a small prize for the best themed pirate platter. Nothing is guaranteed to bring out ridiculously Pinterest worthy food than a bit of mum rivalry. Now is also the time to coerce adults willing to dress up to help you with the party games. 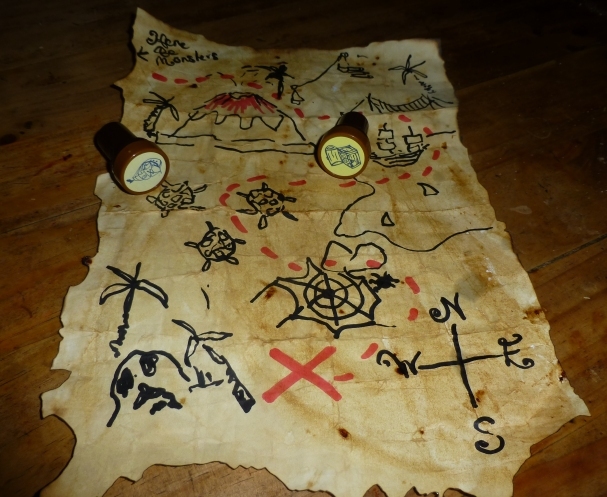 Get your scurvy crew to work on making invitations, treasure maps and scavenger hunt lists well ahead of the time. Kids love to get involved with things. So let them go wild using ordinary A4 paper, scrunched up, straightened out and then painted with an instant coffee granules and water mix. Even the smallest member of the crew can help. Get an adult to gently burn the outer edges and you have really effective looking pirate papers. Even if you have a massive playground to run amok in, no party is complete without games. Any activity that involves restraining, chasing or capturing the parents is always a big hit. Two big ropes for games are standard issue here. 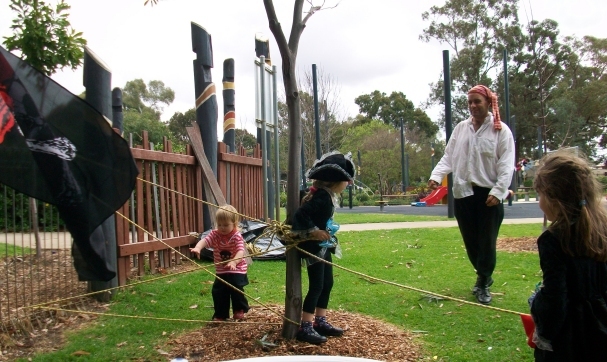 Once you have had the tug of war, the limbo competition and tried to cross over the wriggling rope river, it's then obligatory to try and tie all the children together. There will be an inevitable mutiny and they will tie you to a post before running off. Finish it all off with a game of capture the flag. When it gets too frantic, you can pull out your scavenger hunts and treasure maps and set everyone to work. Buy a large amount of plastic gold coins to hide in the playground. These can be bought really cheaply from discount stores. Pick up a bumper pack of modelling balloons as well and make enough pirate swords the night before for everyone. These are easy to store in a couple of black bin bags on the day. It pays to hop along to your park really early in the morning to hide your gold coins in the sand. You will feel a bit strange poking coins into an empty sand pit at 8.00am but your kids will notice if you try to bury them just before the party and rat you out. Whilst they are furtively digging, you can sort out the birthday cake.The child with the most coins before the candles are lit gets a prize and then it's all over bar the lolly bags. It's up to you of course what goes inside but gold chocolate coins should be included in the booty. As the party guests disappear into the distance with their faces covered in chocolate, waving their balloon swords, congratulate yourself on a job well done, head home and consider breaking out the grog rations.